The Porsche Panamera caused quite a stir in the automotive world when it was introduced back in 2009. Porsche purists decried the four-door sedan/hatchback with the same enthusiasm they had previously reserved for the Cayenne SUV, judging it essentially as not a real Porsche and as an unwanted departure from the performance cars that they felt the company should be focused on. 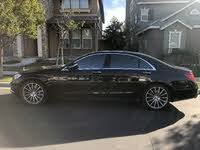 It also upset the status quo for high-end German luxury sedans by injecting a Porsche into the domain long reserved for BMW’s 7-Series, Audi’s A8/S8, and Mercedes-Benz’s S-Class. The Panamera's styling has drawn criticism, too, especially with the bulbous look from the belt line to the C-pillar--but objectively, it's been a resounding success both in terms of sales and in comparison tests with its peers, and Porsche is set to debut a second generation model for 2017. Other than a facelift in 2013 and the introduction of a plug-in hybrid version called the S E-Hybrid in 2011 (as well as a diesel for the European market), the Panamera is still largely the same, with just a few changes for the 2016 model. Two new trim packages, the “Edition” and the “4 Edition”, will see out this first generation Panamera, and they actually represent a pretty good value. The Panamera Edition models get high-gloss black trim strips on the side windows, the same 19-inch wheels as the much more expensive Panamera Turbo, body color door handles, attractive two-tone black and beige leather upholstery, a Sport Design steering wheel, unique door sill plates, special floor mats, and headrests embossed with the Porsche logo. The Edition also comes with a seven-inch touchscreen and navigation, Bose premium 14-speaker audio, active suspension, adaptive headlights, Power Steering Plus (speed-sensitive power steering), a backup camera, and parking sensors. It’s powered by the same 3.6-liter V6 that’s good for 310 hp and 395 lb-ft of torque, and starts at $80,000, just under a $2,000 increase from the base model's MSRP. The Panamera Edition 4, with all-wheel drive, starts at $84,300, again less than $2,000 more than the regular Panamera 4. Given the added options, these Edition models are a bit of a deal. A large variety of more expensive Panamera models also remains, beginning with the Panamera S, a rear-drive version that starts at $93,200 and gets a 3.0-liter twin-turbo V6 that produces 420 hp and 384 lb-ft of torque, along with larger brakes, quad exhaust, and active and adjustable suspension. The Panamera S E-Hybrid starts at $96,100 and features a 3.0-liter, 416-hp V6 that’s backed up by a 95-hp electric motor. It can reach full charge in two and a half hours on a 240V power source and is capable of 22 mpg city/30 highway, as opposed to 15 mpg city/24 highway for most of the other models. The Panamera GTS starts at $113,400 and comes with a 4.8-liter V8 with 440 hp and 384 lb-ft of torque, enormous 15.4-inch brakes up front with 13.8-inchers in the rear, and all-wheel drive. The 4S (basically an S with all-wheel drive) costs $125,600 and is available as an Executive model, which has a wheelbase extended by 5.9 inches behind the B-pillar for a lot more rear seat room. Executive models also ride on air suspension. The Panamera Turbo starts at $141,300 and has a 520-hp version of the 4.8-liter V8. It is also available as an extended Executive version priced at $161,100. The Turbo S, meanwhile, starts at $180,300 and adds carbon ceramic brakes and 50 additional horsepower on top of the regular Turbo. The lengthened Executive version of this car starts at $200,500. 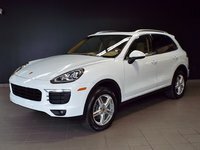 It’s important to remember that with Porsches the options tend to add up quickly, and it's rare to actually pay the base price for any model. Cars like the Panamera come with so many desirable goodies that it's hard to say no to all of them. You can spend over three grand on a particularly cool paint color, for example, and if you get carried away it’s possible to rack up the price of a brand new economy car simply in optional extras. Like the Cayenne, the Panamera's interior has a thoroughly impressive fit and finish, as well as a great list of equipment from the base model to the six-figure Executive cars. Again, options are extensive and it’s possible to configure a pretty unique interior given the available carbon fiber, aluminum, and multiple wood trims. The Panamera's safety features include parking assist, lane departure warning, and “Surround View”, which is basically a 360 degree view of your surroundings taken by four high-res cameras. The Panamera also gets adaptive cruise control that can give the brakes a jolt if the system detects a need for intervention. Given the dual front, side, knee, and side-curtain airbags, as well as its size, the Panamera should perform well in the event of an accident. The huge range of drivetrains and luxury equipment in the Panamera also means a huge range in price. Its looks remain polarizing, but it’s a quick car that is every bit as comfortable and capable as its rivals, and its hatchback rear offers more practicality as well. It’s the ideal balance between a 911 and a Cayenne, and sales have proven that this is something lots of well-heeled buyers want. 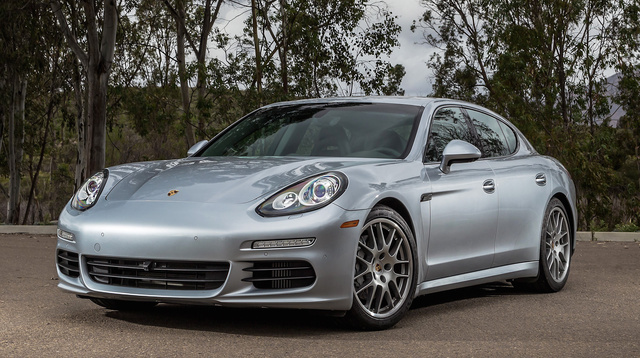 What's your take on the 2016 Porsche Panamera? Users ranked 2016 Porsche Panamera against other cars which they drove/owned. Each ranking was based on 9 categories. Here is the summary of top rankings. 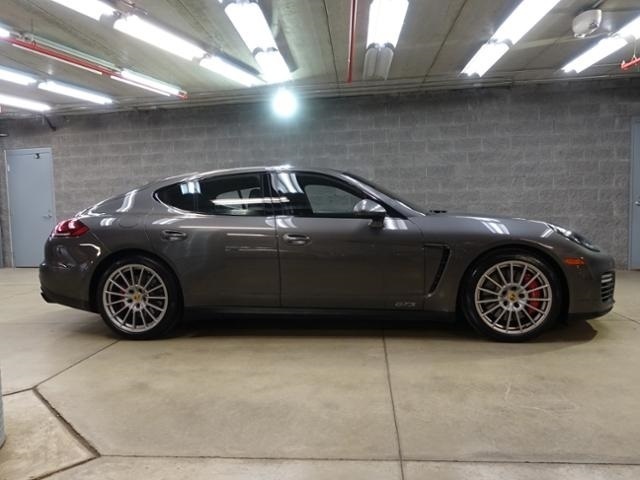 Have you driven a 2016 Porsche Panamera?